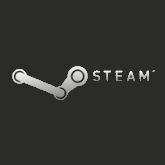 In a rather unusual approach, Valve has provided a platform for competition with Microsoft, Sony and Nintendo by launching Steam Big Picture Mode. This is an extended version of Steam, but the interface will be the big screen televisions rather than the PC monitors. This new Steam on TV allows users to connect their PC’s or laptops directly to the HDTV and get a higher range of performance and graphics than the consoles. This launch shows Valve’s intent to bring the PC gaming experience to the living room. The interface for the new mode is similar to that of the Xbox 360 dashboard. The Big Picture can be used to chat with friends with the in-game overlays, buy games online, or just surf the internet with a built in browser. Regarding the controls: there is the option of using the console controllers or the PC keyboard and mouse. To make the interface easy to use their is also the feature to type with the controller. This takes full adavantage of the handheld controller and makes PC gaming more accessible and convenient in the living room. To opt for Big Picture register at this link . Big Picture is not available for mac users yet but will be made available soon. Controller Xbox 360 Wireless Controller for Windows, Xbox 360 Wired Controller or Logitech Wireless Gamepad F710 recommended. Keyboard and mouse also supported.